The expose of NAB fraud and forgery in their NAB Wealth planning operation continues. It can only lead to a Royal Commission .... but it must be wide-ranging with extraordinary powers. It should look at the banks and the system in full - not just the financial planning arms. Calls are growing for a royal commission into the entire financial planning industry as a new leaked document reveals National Australia Bank identified five key areas within its wealth advisory activities for further investigation. It was revealed by Fairfax Media over the weekend that NAB had quietly paid $10 million to $15 million in compensation over the past five years to 750 customers who received inappropriate advice. Senators, who last year recommended a royal commission into the Commonwealth Bank of Australia after an advice scandal, have seized on the latest reports, and are now pushing for a broader inquiry into the sector. After separate planning scandals at CBA and Macquarie Private Wealth, the senators say there are clearly systemic problems in the industry, and these should be tackled through a powerful public inquiry. Meanwhile, a leaked document, written by NAB's head of wealth Andrew Hagger, from last August said five areas had been identified across its advisory activities that were "worthy" of "deeper dives before concluding on our confidence levels around our processes and controls". These included its well-known stockbroking arm for high net worth clients, JBWere. Although the government has previously rejected calls for a judicial inquiry into CBA, a group of cross-party senators at the weekend said the NAB case strengthens the argument for a broader royal commission into the industry. Nationals Senator John Williams argued the NAB revelations bolstered the case for a royal commission spanning financial advisers, products and the actions of financial institutions. He said he was hopeful some government colleagues who previously dismissed calls for such a probe would change their minds. "The few colleagues I've talked to are very supportive and the I'm confident the push for a royal commission will build, and build strongly," he said. The chair of the economics reference committee, Labor Senator Sam Dastyari, said the various cases of bad advice showed it was an industry-wide problem that required a wider-ranging response, rather than leaving it up to individual banks. "All of these just help the case for a royal commission," he said. "It's a pattern of behaviour in how the banking sector is operating, and that's really worrying." Independent senator Nick Xenophon argued that NAB's practice of compensating victims "in secret" meant there was a risk many customers may be unaware they may have received bad advice. "These financial victims are being re-victimised again by NAB undertaking these negotiations in secret," Senator Xenophon said. Greens Senator Peter Whish-Wilson also argued that any royal commission into the CBA should be broadened to encompass "white collar crime and cultural problems in the big end of the financial advice sector, especially around the vertically-integrated companies". The federal government rejected the call for a CBA royal commission in October last year, saying there were several inquiries into the matter already and the key focus should be on the bank's compensation program. Assistant Treasurer Josh Frydenberg did not comment on Sunday. The debate over a royal commission comes as leaked documents provide fresh details on areas within NAB's wealth arm that had been flagged for further investigation. The report by Mr Hagger said the areas included stockbroker JBWere; the advice business Meritum, "product and investment strategy suitability including gearing; compliance audit process; training and exiting; and insurance substitution". NAB on Friday night said in a statement it had been transparent with information about compensation claims, which had been shared with senior managers and regulators. "We take these issues very seriously. When we identify or are made aware of issues we will always work to fix them," Mr Hagger said. 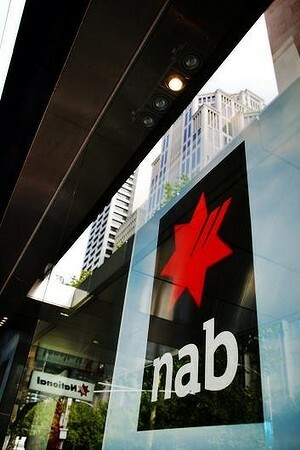 Political heat is likely to remain on NAB this week, with Australian Securities and Investments Commission chair Greg Medcraft set to face questions over the regulator's handling of the NAB issues when he appears before a Senate estimates hearing on Wednesday. While the government has previously refused a royal commission into CBA, the power of crossbench and Labor Senators was last year underlined when they united to scrap the government's roll-back of Labor's financial advice laws. After this defeat, some in the industry believe the government is more aware of public concern about financial advice, which could feature in its thinking towards a broader royal commission. Consumer group Choice has not publicly backed a royal commission into financial planning, but spokeswoman Erin Turner said a more transparent process for addressing scandals such as these was needed. "Whatever process we have, it has to be open, consumers have to be able to trust it, and it has to be scrutinised in public," she said. The problems at NAB, CBA, Macquarie and other banks have also highlighted public concerns about the "vertical integration" – whereby banks control a growing share of other related industries, including wealth management. The Financial System Inquiry said vertical integration should be closely watched because it could limit competition in the future. Ms Turner said the recent troubles in financial advice highlighted the problems with banks' vertically integrated model. "This is the result of big institutions using financial advice as a sales pipeline," she said. "The issue which has swept down the centuries and which will have to be fought sooner or later is the people versus the banks ."